“From Mary we learn to surrender to God’s will in all things. From Mary, we learn to trust even when all hope seems gone. “Follow the example of Our Blessed Lady, the perfect model of trust in God and wholehearted cooperation in his divine plan for the salvation of mankind. — Pope Francis, addressing members of the International Theological Commission, 5th December 2014. “At Christmas we tend to sentimentalise the Holy Family. From being people of flesh, we change the Holy Family into works of art, Christmas cards, or plaster statues for creches…. Mary was a young girl, pregnant, though not yet married, struggling to cope with her newfound situation. At one point she undertook a dusty, somewhat dangerous 75 mile journey to her elderly cousin Elizabeth at Ain Karim…. When Mary had her own emergency, giving birth to Jesus in Bethlehem, she only had Joseph with her. This was quickly followed by their flight into Egypt to escape from Herod’s slaughtering soldiers. — Given here as a quick overview of her life for context for the quotes below. From the missalette published by the Dominican Priory (Tallaght, Dublin) for 29th December 2013, the Feast of the Holy Family. “In the Gospel, we have just heard the greeting of the angel to Mary: Rejoice, full of grace. The Lord is with you. Rejoice, Mary, rejoice. Upon hearing this greeting, Mary was confused and asked herself what it could mean. She did not fully understand what was happening. But she knew that the angel came from God and so she said yes. Mary is the Mother of Yes. Yes to God’s dream, yes to God’s care, yes to God’s will. It was a yes that, as we know, was not easy to live. A yes that bestowed no privileges or distinctions. 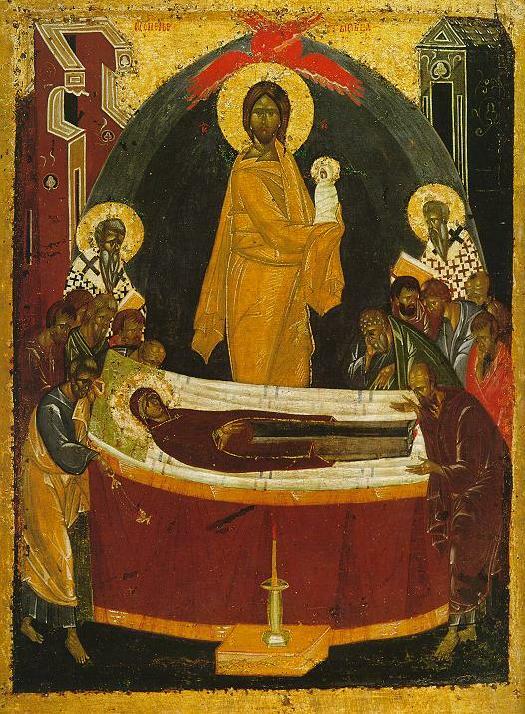 Simeon told her in his prophecy: “a sword will pierce your heart” (Lk 2:35), and indeed it did. That is why we love her so much. We find in her a true Mother, one who helps us to keep faith and hope alive in the midst of complicated situations…. (At the foot of the cross) she might well have asked: “What happened to all those things promised to me by the angel?”. Then we see her encouraging and supporting the disciples. Mary is the woman of faith; she is the Mother of the Church; she believed. Her life testifies that God does not deceive us, that God does not abandon his people, even in moments or situations when it might seem that he is not there. Mary was the first of her Son’s disciples and in moments of difficulty she kept alive the hope of the apostles. With probably more than one key, they were locked in the upper room, due to fear. A woman attentive to the needs of others, she could say – when it seemed like the feast and joy were at an end – “see, they have no wine” (Jn 2:3). She was the woman who went to stay with her cousin “about three months” (Lk 1:56), so that Elizabeth would not be alone as she prepared to give birth. That is our mother, so good and so kind, she who accompanies us in our lives…. Hers has been a discreet and silent presence, making itself felt through a statue, a holy card or a medal. Under the sign of the rosary, we know that we are never alone, that she always accompanies us. “She knows that in her position as mother she can point out to her son the needs of mankind, and in fact, she ‘has the right’ to do so. 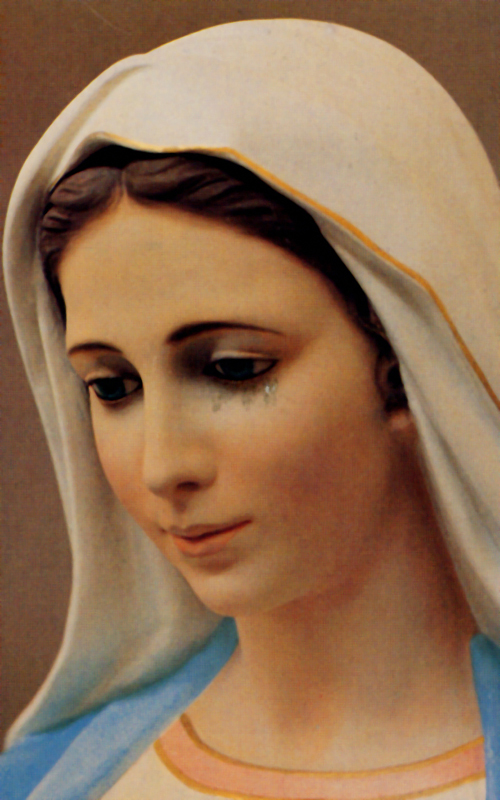 Her mediation is thus in the nature of intercession: Mary ‘intercedes’ for mankind…. “It was not until fairly recently that the Catholic Church named 1st January as the feast day of Mary the Mother of God. Beginnings are full of hope and challenge, a good time to have the support of our heavenly mother. The ideal mother is essentially supportive, not only giving us life but protecting and encourging us always. Perhaps no one is as interested in us, as eager to hear of our small triumphs and failures, as our mother. Yet no earthly mother, however cherished, can be to us what Our Lady is. Her protection and love are precisely what we need as we set off into the unknowability of our New Year. — Pope John Paul II, said in Ninian Park, Cardiff, to the Young People of England and Wales, as seen online and quoted on page 90 of “The Pope in Britain: Collected Homilies & Speeches”, St Paul Publications, Slough; 1982.